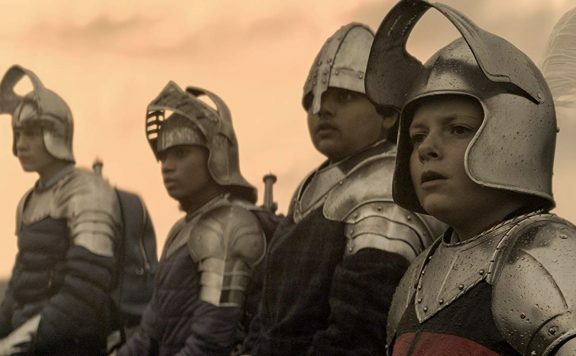 Aaron Neuwirth reviews Joe Cornish's The Kid Who Would Be King, a live-action fantasy-adventure that does right by the legend of King Arthur. It has become something of a joke to see new cinematic takes on characters such as King Arthur and Robin Hood, and yet studios keep trying and failing to set up new franchises around them. 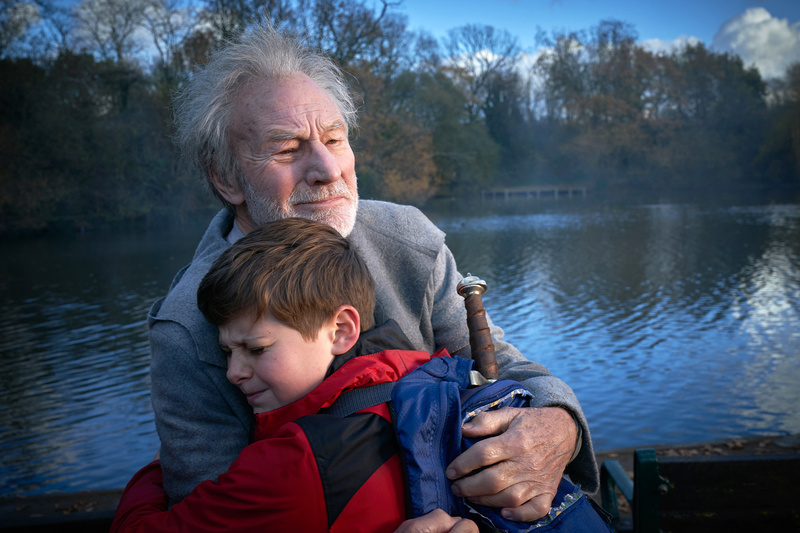 Now, along comes Joe Cornish, director of 2011’s brilliant Attack the Block, with a vision for a kid-centric take on Arthurian legend, and it’s the best interpretation of the property in decades. The Kid Who Would Be King has the spirit and ambition needed to work as a proper film for a young adult audience that adults can also appreciate as well. 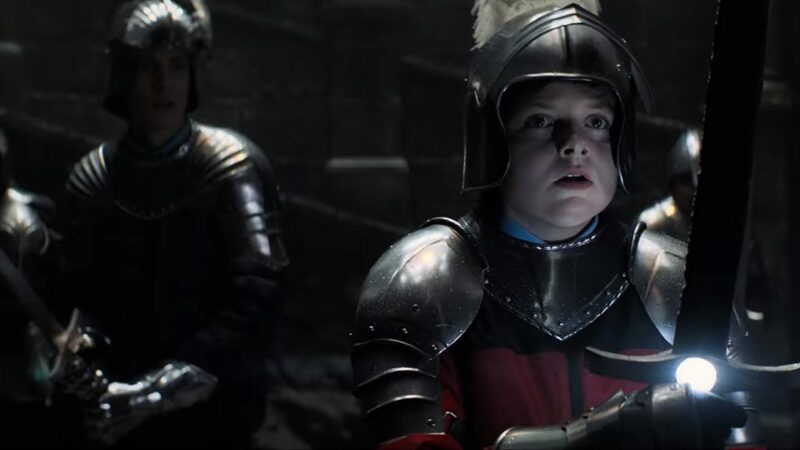 Louis Ashbourne Serkis (son of Andy) stars as Alex Elliot, an ordinary boy whose whole life changes after pulling Excalibur from a stone at a construction site. 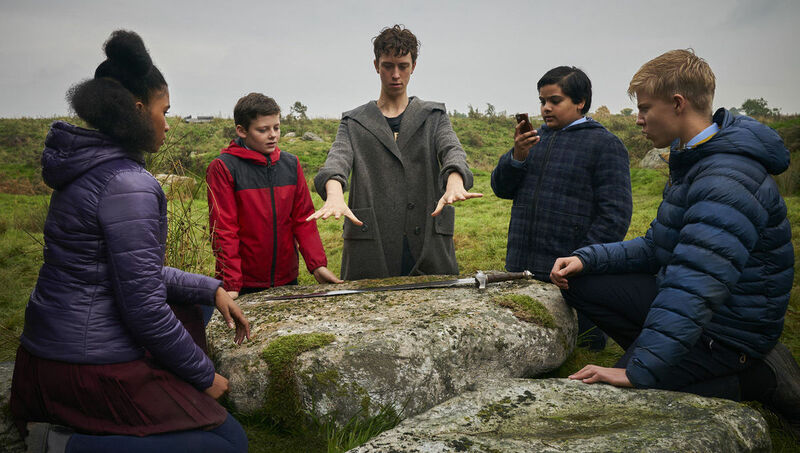 Alex and his best friend Bedders (Dean Chaumoo) are in disbelief of what’s going on, but the wizard Merlin (disguised as a teenager played by a winning Angus Imrie), soon arrives to explain what’s at stake. 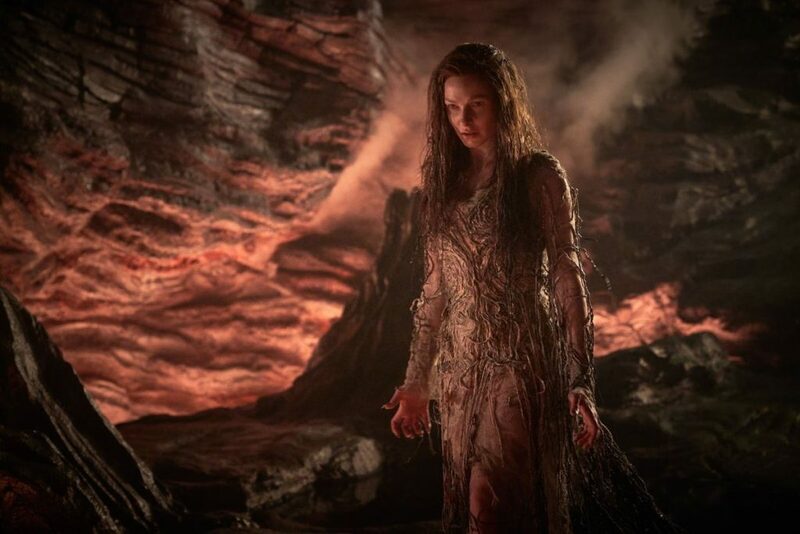 With the world currently going down a dangerous path, it’s providing enough dark energy to help the evil Morgana (Rebecca Ferguson) to rise from the underworld and attempt to take over. A nifty animated prologue sets the stage for those new to the story of King Arthur. Once that ends, we immediately get to know Alex and his place in life. Alex’s father is gone, but he has a mother (Denise Gough trying to do the best for him. Bedders is the kind of kid who gets picked on, so Alex is brave enough to try and help. And the two school bullies, Lance and Kaye (Tom Taylor and Rhianna Doris), soon become significant characters in a film that turns into a quest of sorts. One of the strengths of Cornish’s Attack the Block was how that film used minimal locations to its advantage in building a level of scope and stakes. We had an apartment building, and the area around it to serve as a battleground between kids and some vicious aliens. 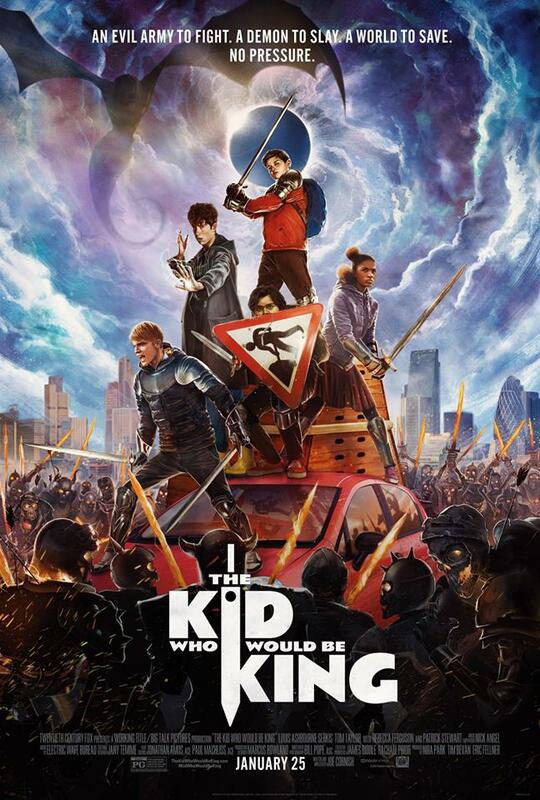 Kid Who Would Be King is a bigger film, with a more expansive scope, which does well to serve as a minor epic as far as kids’ fantasy adventures go. Given what I saw beforehand, it was surprising that a good portion of the film has the kids traveling to the English countryside to train with their swords and attempt to defeat Morgana, as opposed to keeping things based around the school. That in mind, moving things outside one main setting allows for some ups and downs. On the positive side, you get to see kids having some neat action-adventure scenes set in the woods and other locations. The villains take the form of skeleton horse riders who are just creepy enough to show that we can still have kid-centric movies with some edge. Having the film find some clever ways to explain the rules of these sorts of battles doesn’t hurt either. Allowing the characters to travel also means the film has to find a use for everything, which Kid Who Would Be King sadly comes up short on at times. At over two hours, the film could use some trimming, given the extended bits involving the deception of certain characters and subplots that are a bit overlong. These aspects don’t ruin the film, but they hold it back just enough to keep it from being the sort of kids classic one may expect to sit beside the types of live-action family films recent generations grew up with. Or perhaps I’m wrong, and kids will cherish this film, as there is still more than enough to like and find memorable. Imrie’s Merlin, for example, is very entertaining. He has the right sort of quirky attitude to make him a delight to watch and performs a constant finger snapping/clapping to serve as his way of performing magic spells that never stops being impressive. There is also the proper build up to the school-set finale, serving as a sort of kid-friendly siege-based action sequence that works to the same degree as we’ve seen in a Lord of the Rings film. It allows for creative visuals and the best understanding of what it means to have a King Arthur story wrapped up around the lives of pre-teens in the modern world. There are other nice touches. Cornish is a good visual director, and while Kid Who Would Be King may not feel as heavily stylized as his previous film, there is some fun camera work here. The score by Electric Wave Bureau is also suitably in line with a medieval sense of place, matched against a modern landscape. It also tends to be fun to see new ideas for horseback riding action and the film supplies some variations, including a car-horse chase through the streets. It would have been nice to have the villainous Morgana get more to do, but she primarily serves as a means to an end regarding plot. That in mind, while the social commentary on Cornish’s mind is presented about as low-key as possible, this is very much a film set in a post-Brexit world, with some references at the top emphasizing turns the world has taken for the worse, leading to Morgana’s arrival, to begin with. Being a PG-rated family comedy, it’s not as though more detail is needed, but I can appreciate the way Cornish has chosen to approximate real issues for the sake of a film that balances real-world struggles with action sequences involving skeleton creatures and other wizardry. There is a lot to like about The Kid Who Would Be King. The writing is smart enough not to condescend to the kids it is intended for, and the filmmaking does proper justice to the premise. It could be a bit shorter, but there is still plenty going to make for an intriguing take on the King Arthur story. Given the various versions audiences have been subjected to, let alone the lack of live-action kids adventure movies, one could only hope we get more of this kind of product to satisfy audiences that would be better served by both when the result is this solid.